ANybody can answer, that L930 will get 4G upgradation (No option other than 2G & 3G :-() here in India during the upcomng Denim update? the back breaker, 12 Jan 2015android is the father of windows in user interface! so, u think child is better than his father?Oh yeah. 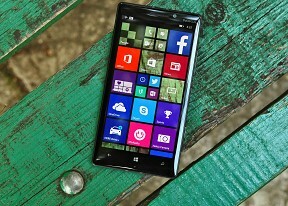 Windows new UI is the ultimate UI for the phone. Android & iphone icons are history and useless stuff. Nokia Lumia , 19 Jan 2015I have both of them,Lumia 830 have so much batter battery than 930 but Lumia 930 it's better f... moreThank you alot. It's so amazing that everyone that could answered me. In other sites no one cared about my question. Again thank u guys for all of your attention and care I really appreciate it. Actually I can afford both but the problem is i searched every shop In my town and I couldn't find any Lumia 930 under 500. I think I choose 830 it's more stylish. Nokia Lumia , 19 Jan 2015I have both of them,Lumia 830 have so much batter battery than 930 but Lumia 930 it's better f... moreHow's its music player? Are the headsets good? M, 18 Jan 2015Hi guys. I have been using Lumia 820 for almost a year and the battery life is really annoying... moreAlso the gsmarena battery test shows that the 830 has a slightly better performance. In my opinion the 930 performs reasonable though. M, 18 Jan 2015Hi guys. I have been using Lumia 820 for almost a year and the battery life is really annoying... moreI have both of them,Lumia 830 have so much batter battery than 930 but Lumia 930 it's better for Camera, better processor and all that stuff. If camera it's not important for you and all that stuff, go for 830 if you want much better battery also i love 830 design more than 930, I'm using 930 only for Camera, for everything else 830 it's perfect, also 830 have 10 megapixel camera with all needed stuff but 930 beat it with 20 megapixel of course, so i prefer you Lumia 830. George-, 19 Jan 2015As a 930 user i'm very very satisfied as i have already posted below. Built quality,amazing cu... moreThank u so much for the feedback. Now about the battery i dont have particular issues to mention. Go for it! 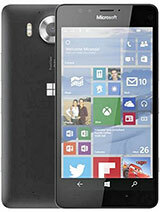 I have been using Lumia 820 for almost a year and the battery life is really annoying. I wanted to buy Lumia 930 at first but I heard that the battery life is as the same as 820 and u have to charge it every day. 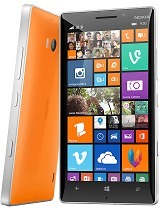 And now I'm stuck between Lumia 830 and 930 which one should I buy? Fallen138, 16 Jan 2015I also got the update yesterday. Do you have experienced an issue with Internet Explorer? I do... moreI haven't noiticed that, but I do notice the auto screen brightness is overreacting sometimes... a bit annoying. Just got my hands on it. It's really really great! I came from Android phone and I have to say Windows Phon 8.1 is really amazing and better in everthing. Its super fast and the Camera quality is brilliant. 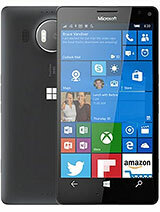 k.manyang, 14 Jan 2015Lumia 930 is a good windows phone with many apps but I think the Nokia company could do someth... moreI doubt very much that Nokia will do as you ask, considering that Nokia Phone division is owned by Microsoft now. After updating my Lumia 1320 to Denim some days ago, my Lumia 930 has also received the update. It's available in most European countries now. How is this phone having much smaller battery than the droid maxx while being thicker at the same time?